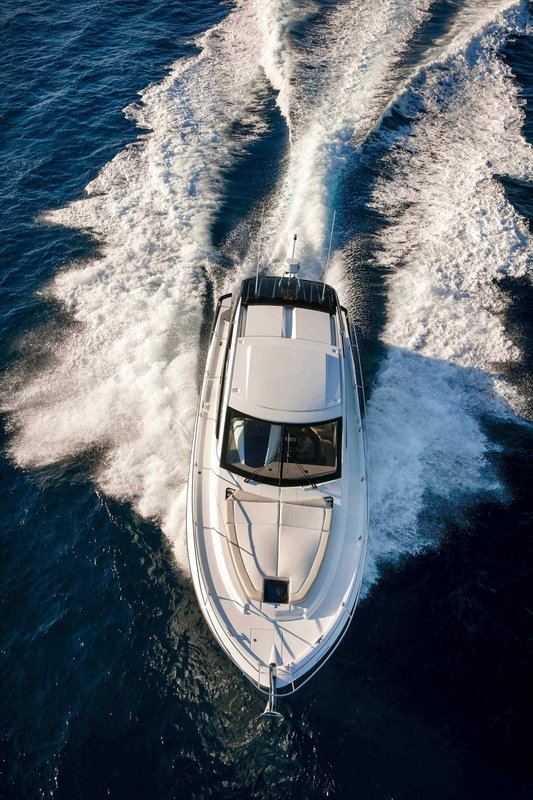 The Sports Car of the Waves. 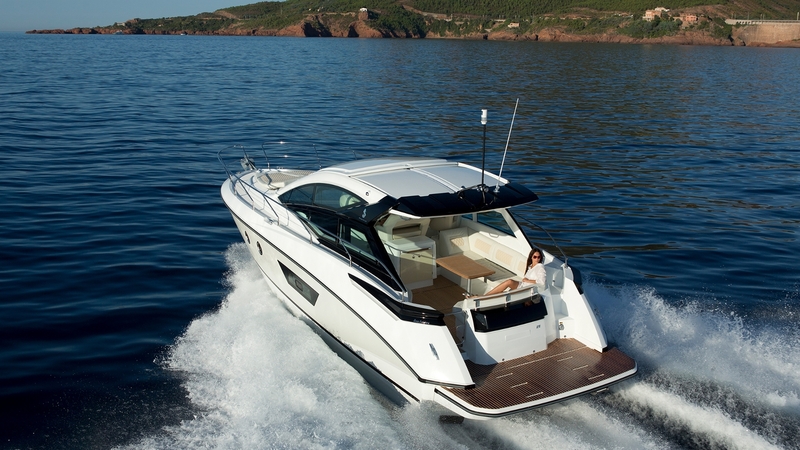 In the live-out-loud world of express cruisers, the Gran Turismo is in a class by herself. 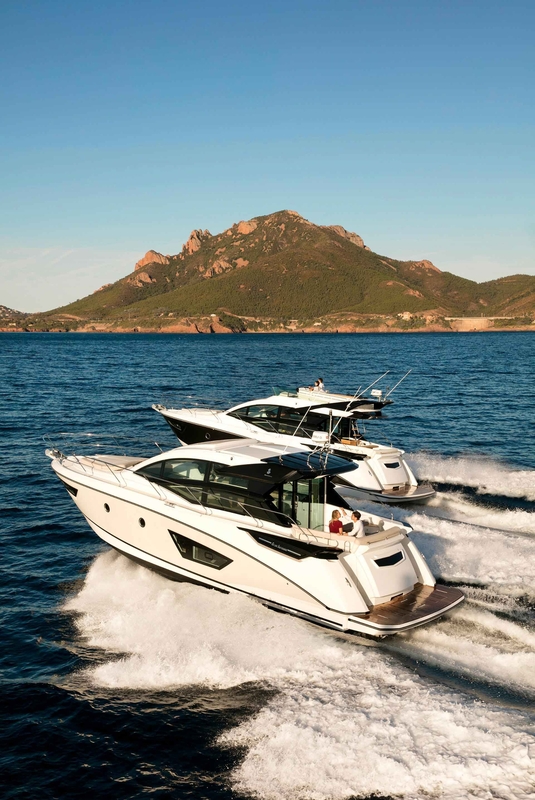 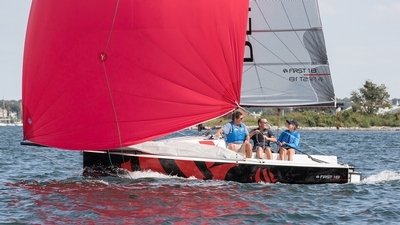 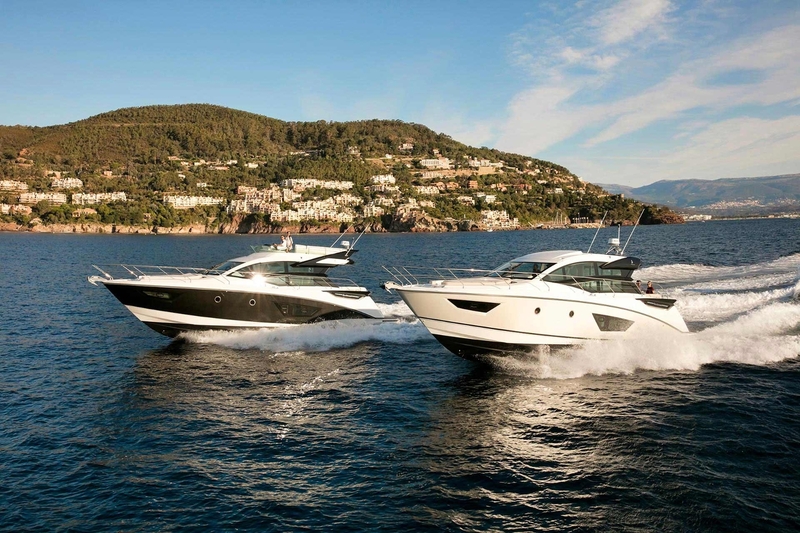 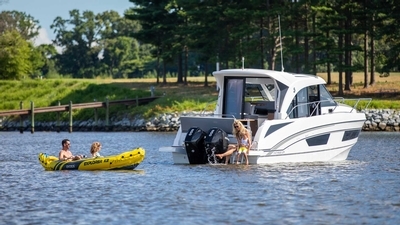 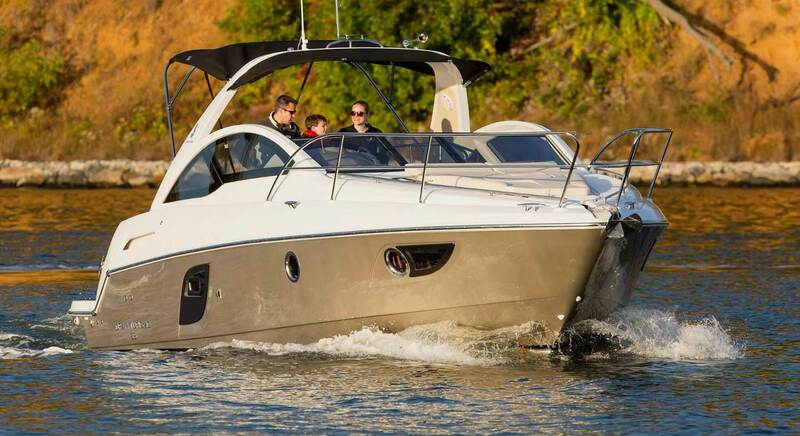 These powerboats feature the kind of styling that makes others say, "She looks fast standing still." 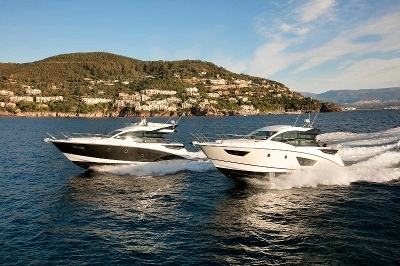 And each model is brimming with technology and performance so cruising at speed is one of the great joys you live for. 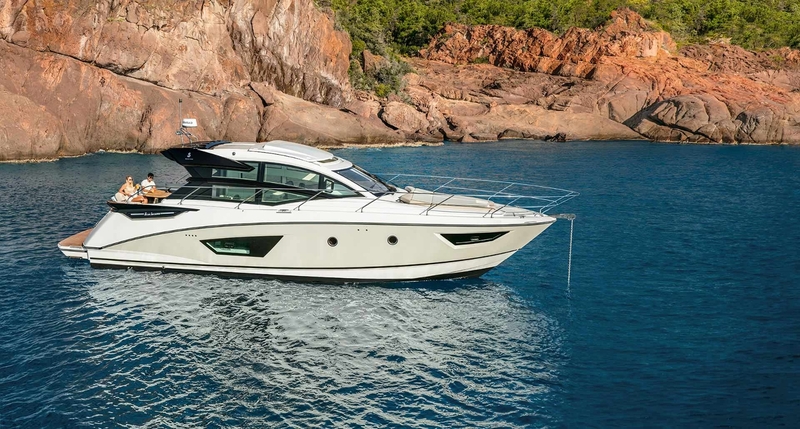 The Sport Cruiser to Match Your Ambitions. 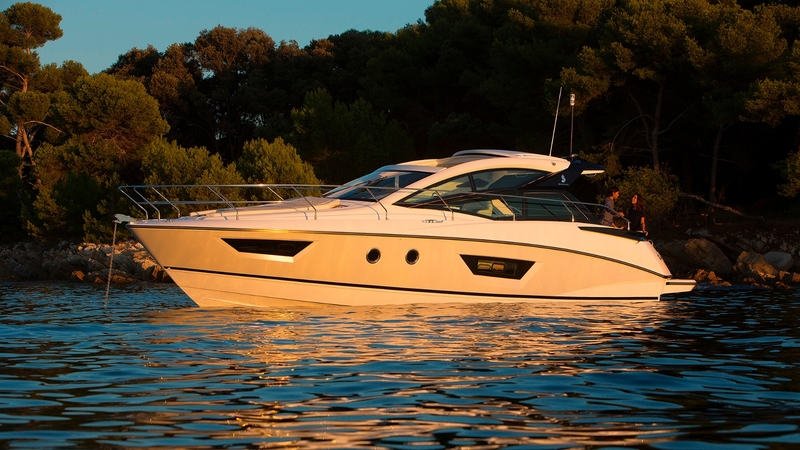 The new Gran Turismo 50 – the queen of the redesigned Gran Turismo range has arrived. 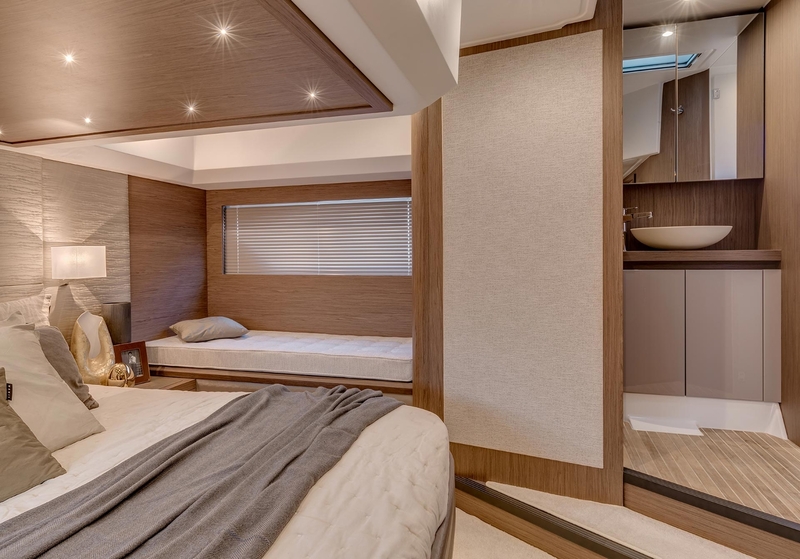 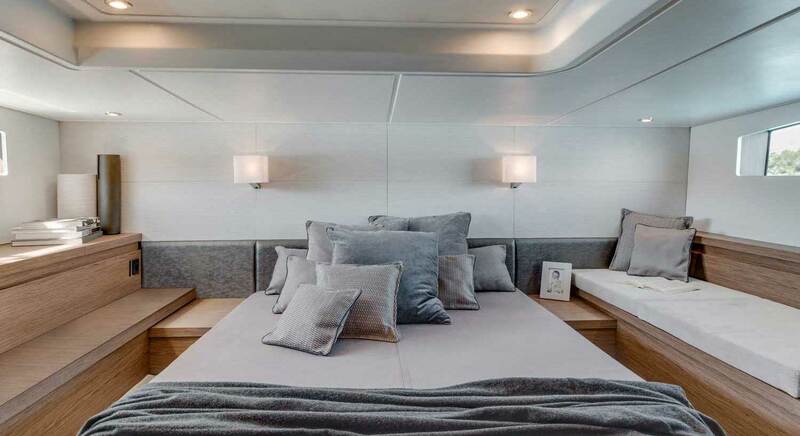 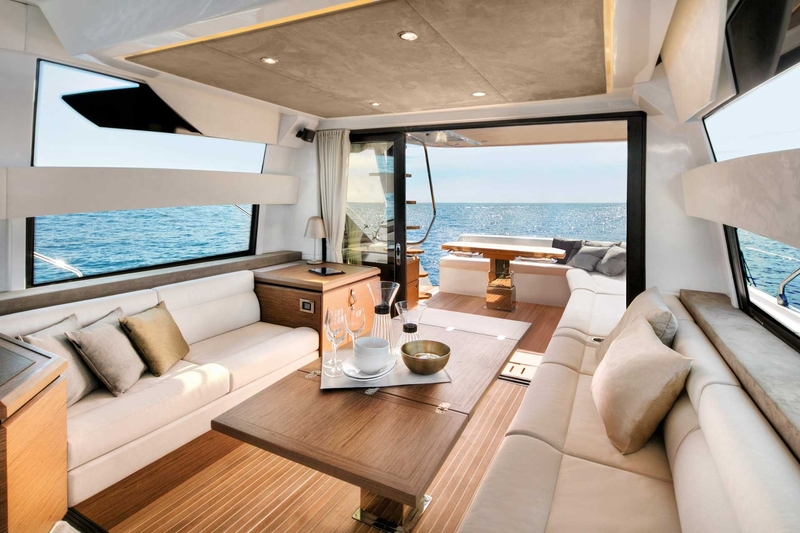 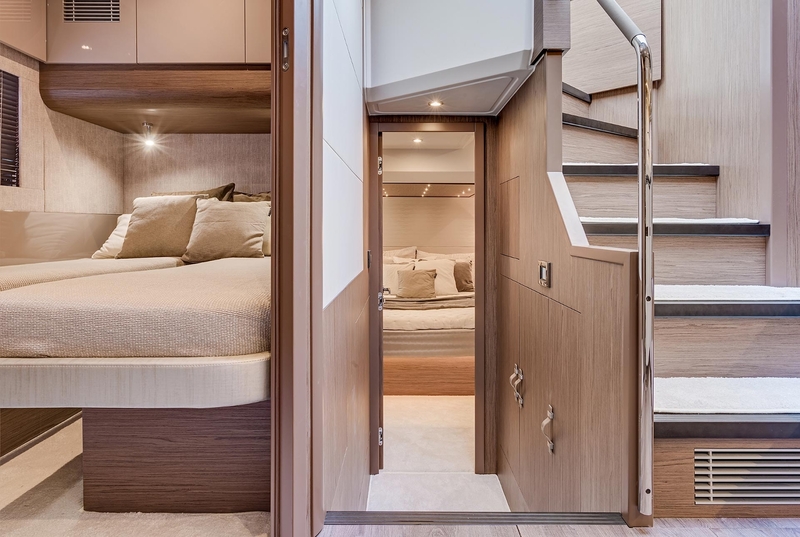 Her elegant profile and full-space main deck provide a new definition to supremely livable interior and exterior space. 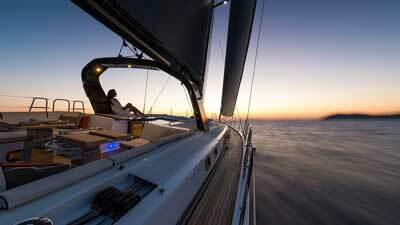 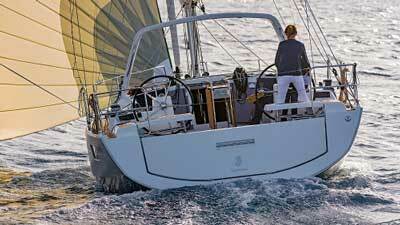 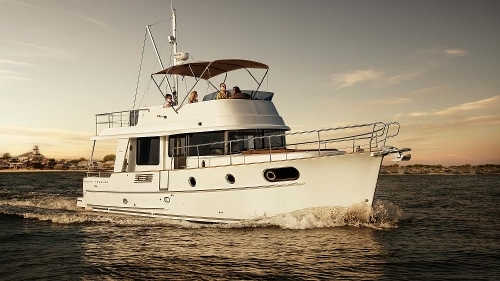 Her Volvo IPS drive and Air Step® 2 hull deliver ocean-taming performance without wallet-draining expenses. 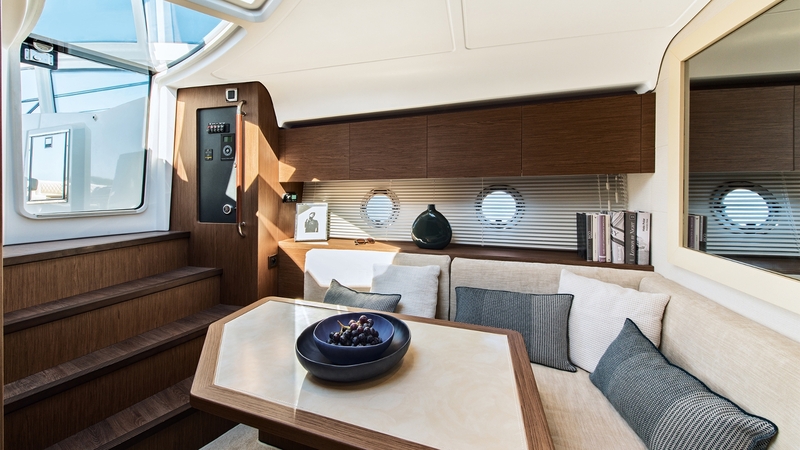 Her cockpit and salon blend seamlessly at the opening of her full-length glazed doors. 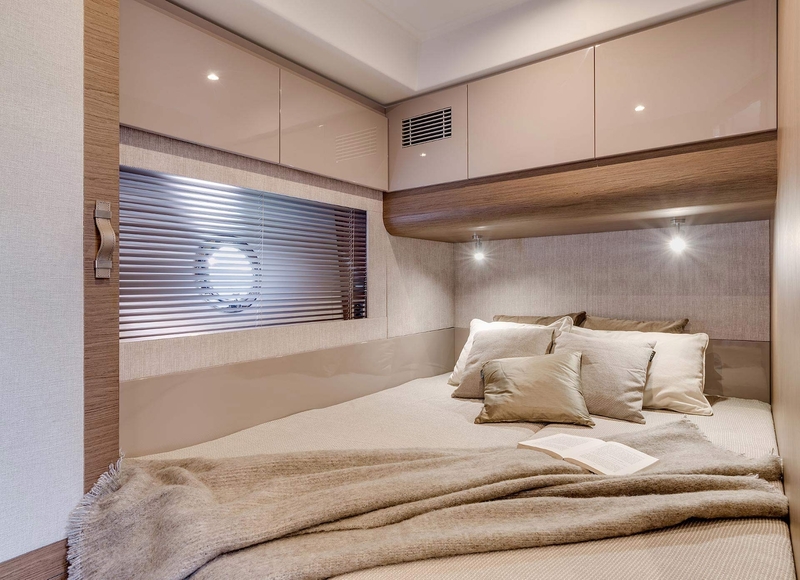 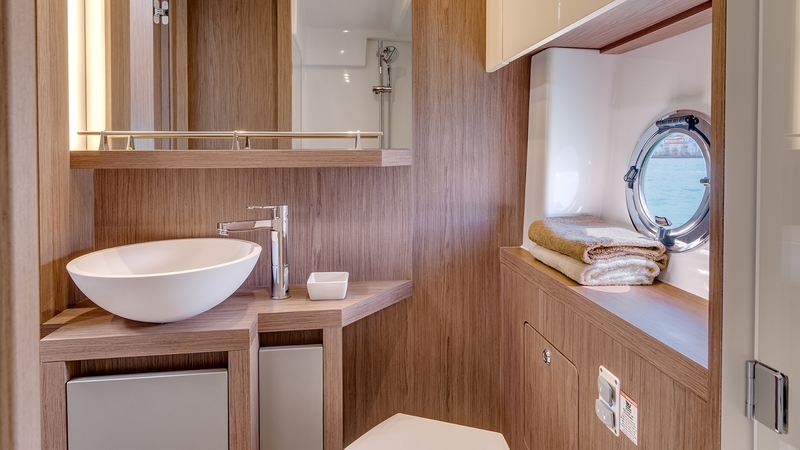 The quality of materials and design can be seen in her full-beam owner’s suite, bathed in natural light and featuring an en-suite shower room. 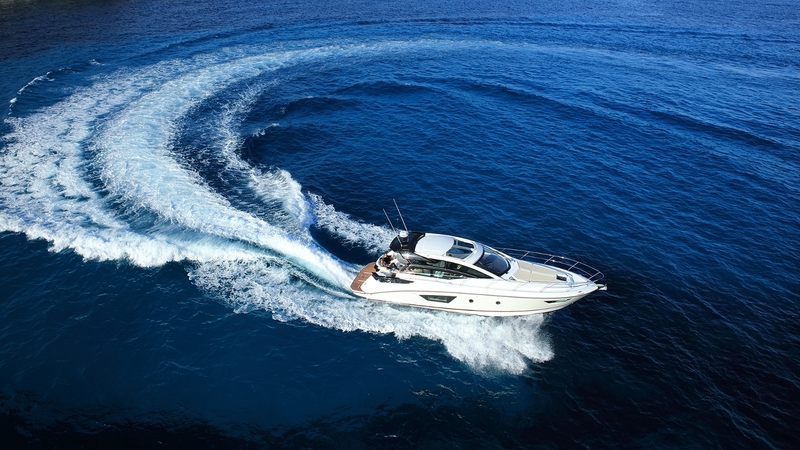 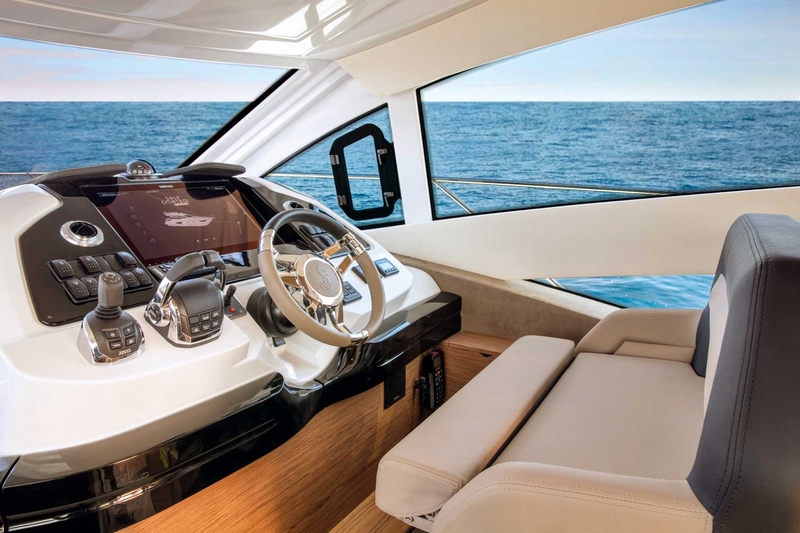 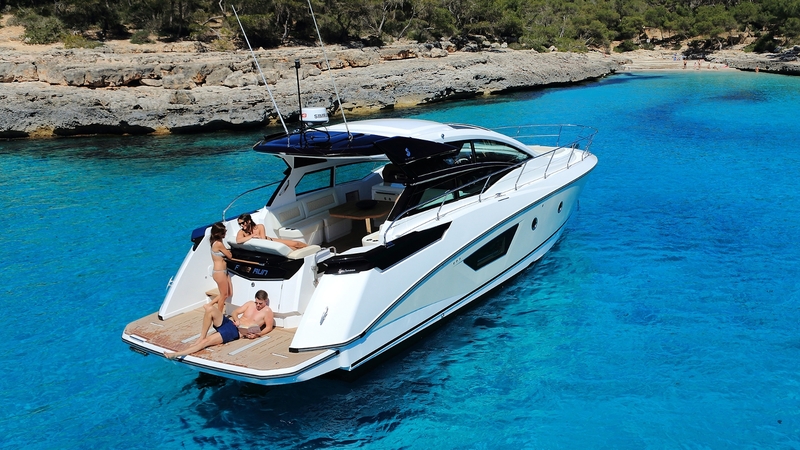 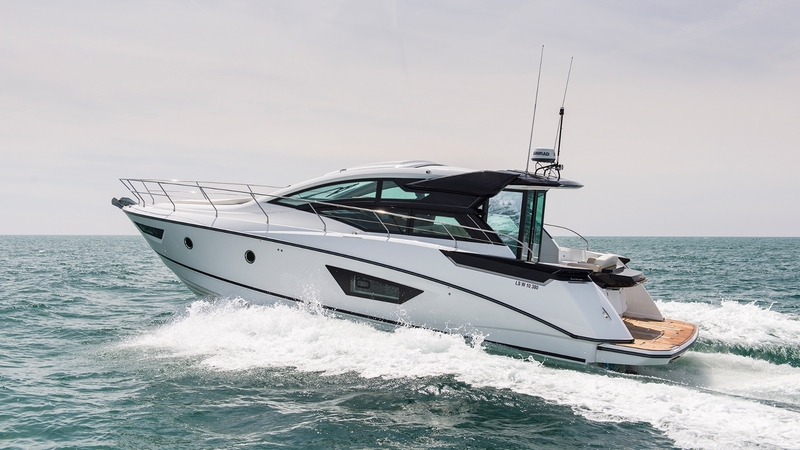 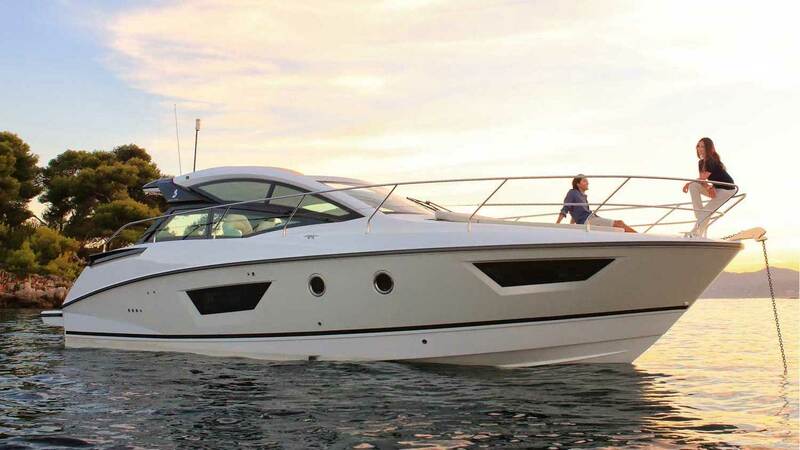 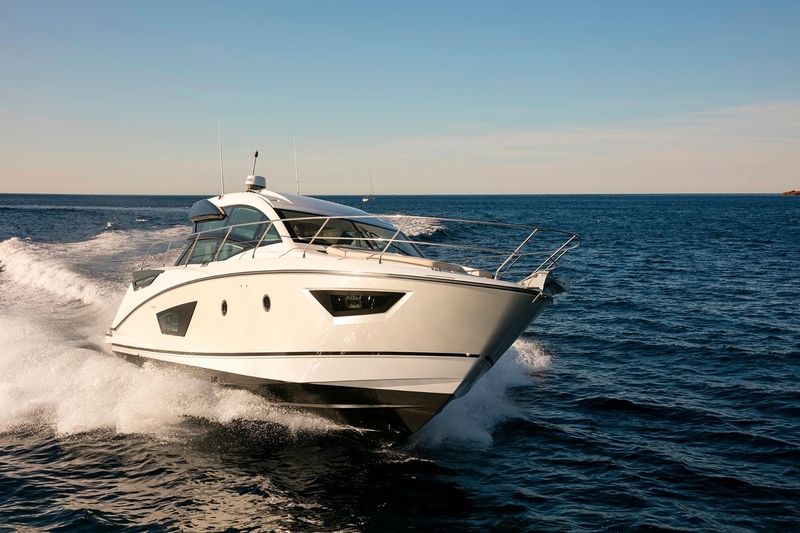 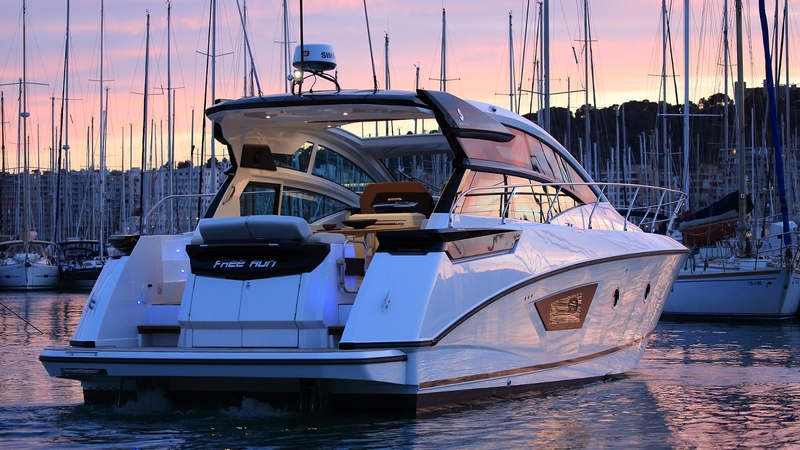 Innovations like Ship Control, a web-based onboard management system, make time aboard a Gran Turismo 50 as smart as it is a satisfying experience. 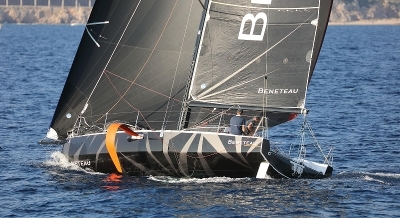 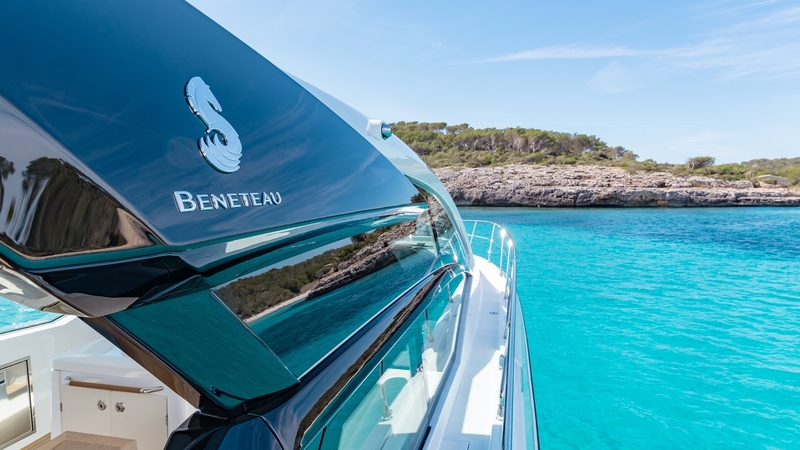 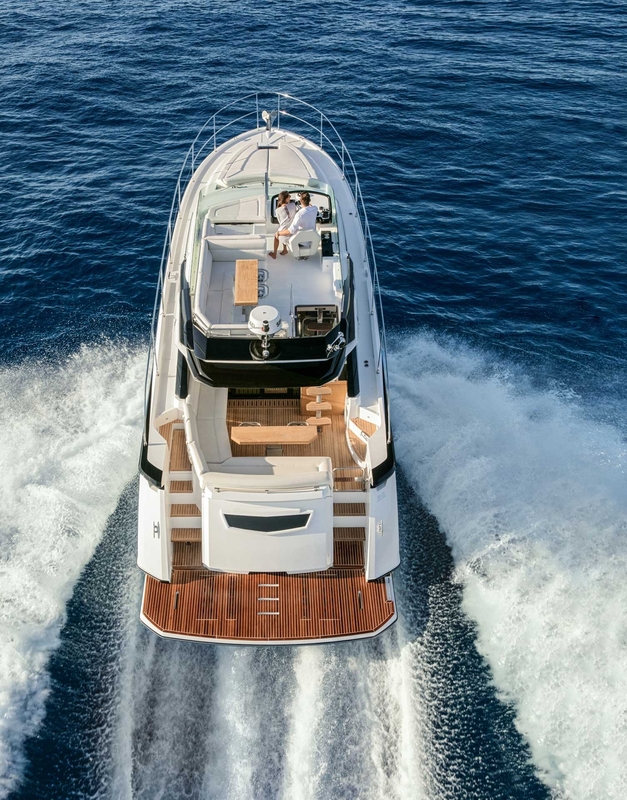 Length overall 15,78m - 51'9"
Hull length 14,17m - 46'6"
Hull beam 4,38m - 14'4"
Air draft 5,35m - 17'6"
Sporting a new, head-turning design by Nuvolari Lenard, the Gran Turismo 46 features bold, exciting lines with even more room, more performance and more options to experience more fun at sea. 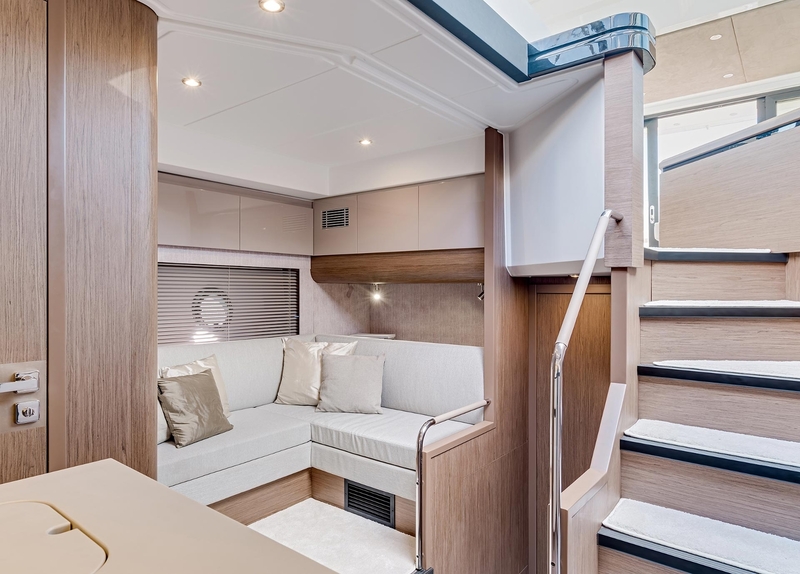 These include your choice of a Volvo IPS or a Z-Drive engine, optional full-length glass doors separating the cockpit and salon, plus a choice of two or three-cabin layouts. 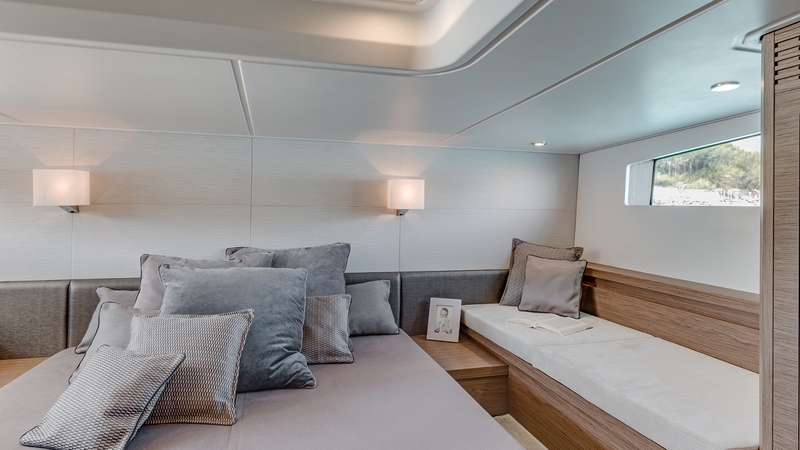 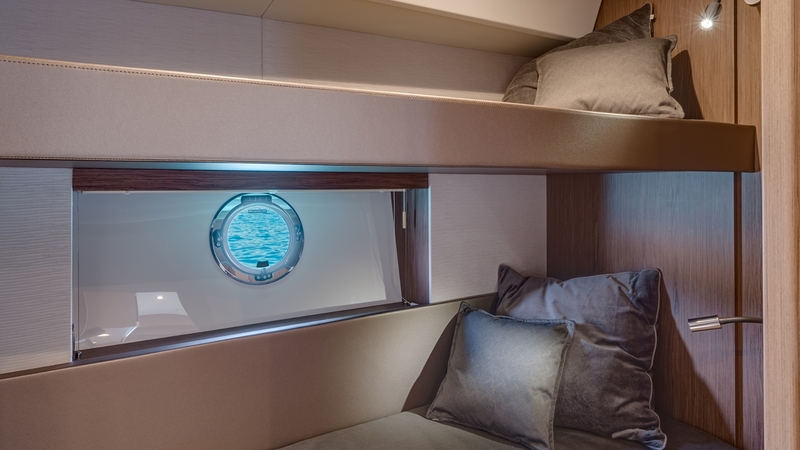 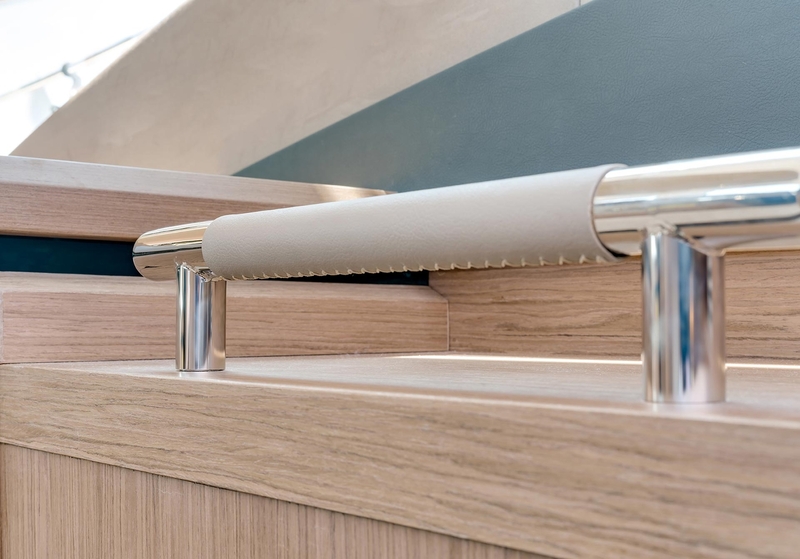 Interior and exterior spaces are modular to accommodate your onboard needs and feature an abundance of natural light and ventilation. 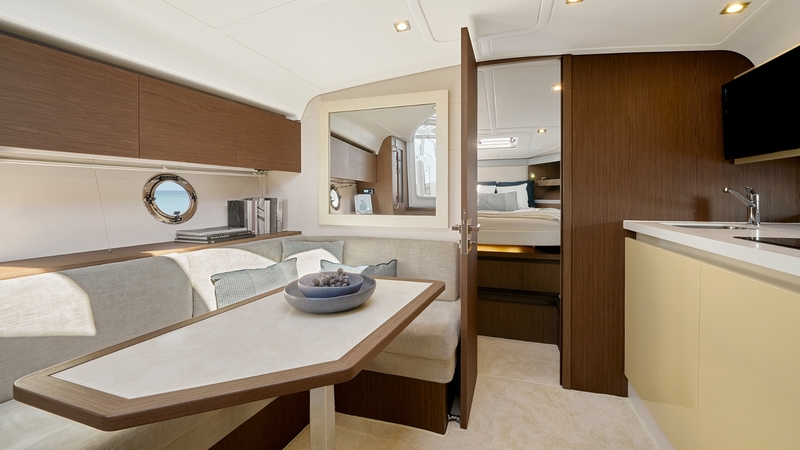 Rich woodwork and accents of titanium, leather, and lacquer create the ultimate atmosphere of comfort for your guests. 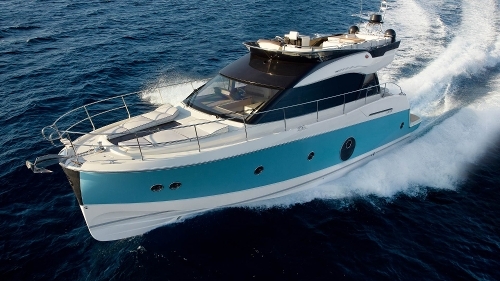 Length overall 14,78 m - 48'6"
Hull length 13,5 m - 44'3"
Hull beam 4,15 m - 13'7"
Air draft 4,77 m - 15'8"
Draft 1,15 m - 3'9"
A New Look. 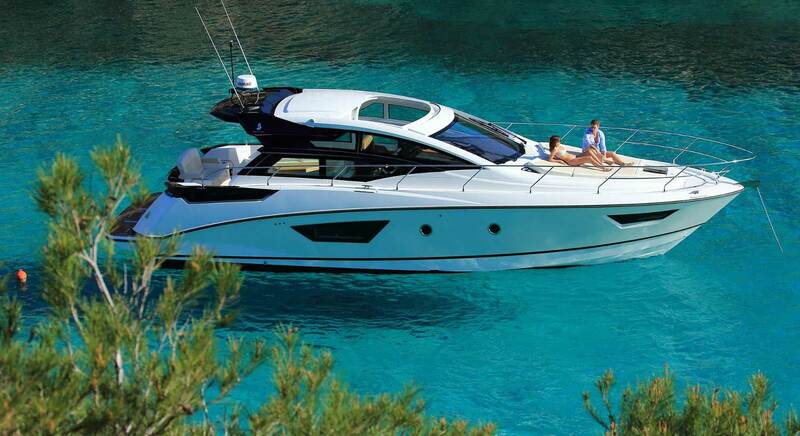 Even Better Performance. 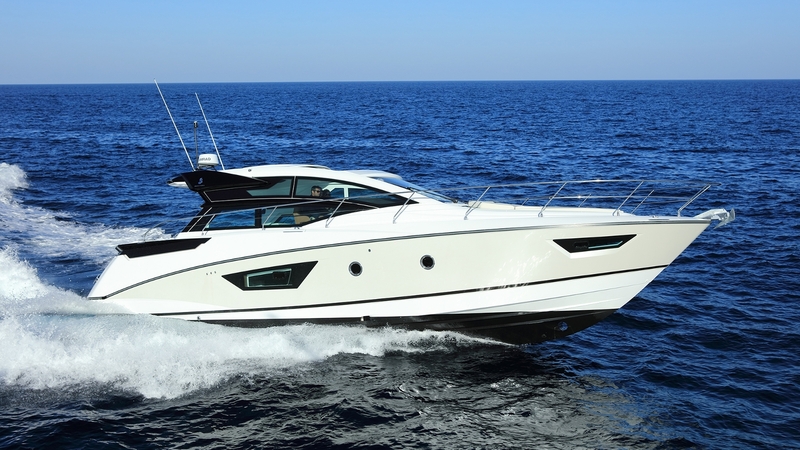 Designed by Nuvolari Lenard, the Gran Turismo 40 gives a newer, cleaner, edgier face to the sport cruiser. 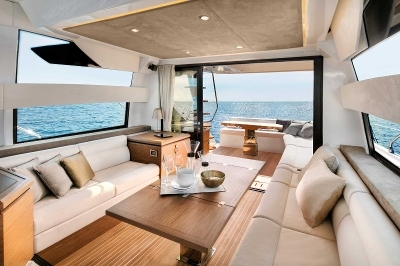 Her flawless proportions and expansive interior and exterior spaces can accommodate up to 11. 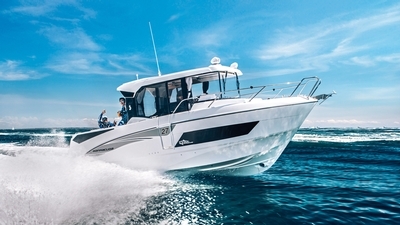 With our Air Step® hull and choice of three diesel engines, it’s easy to combine relaxation and entertainment with speeds up to 38 knots. 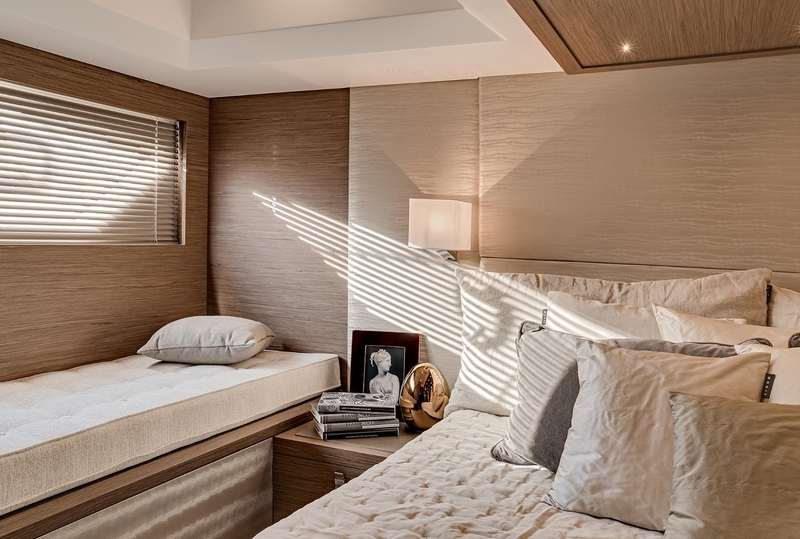 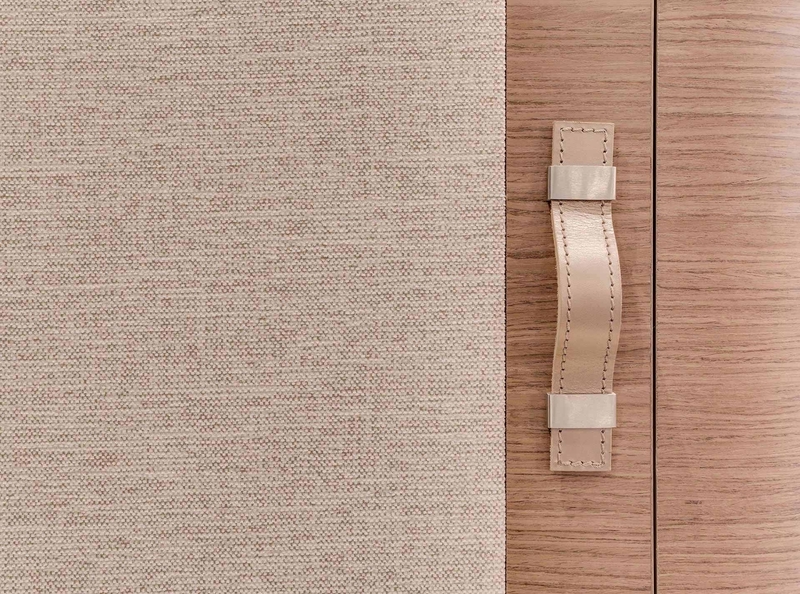 Interior and exterior spaces complement each other effortlessly. 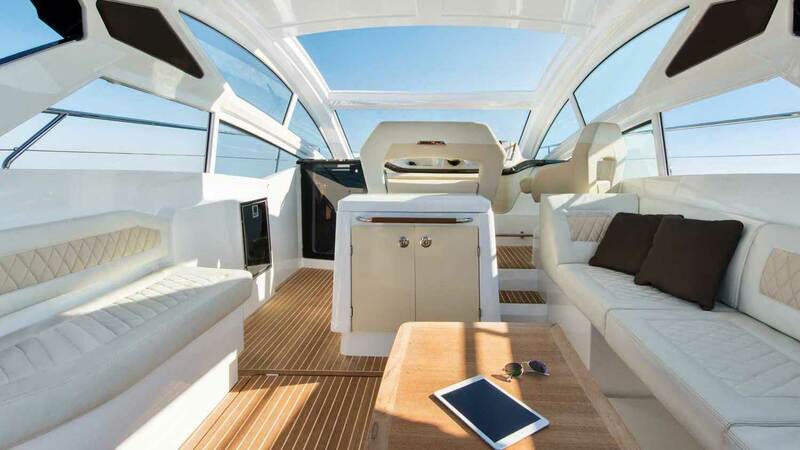 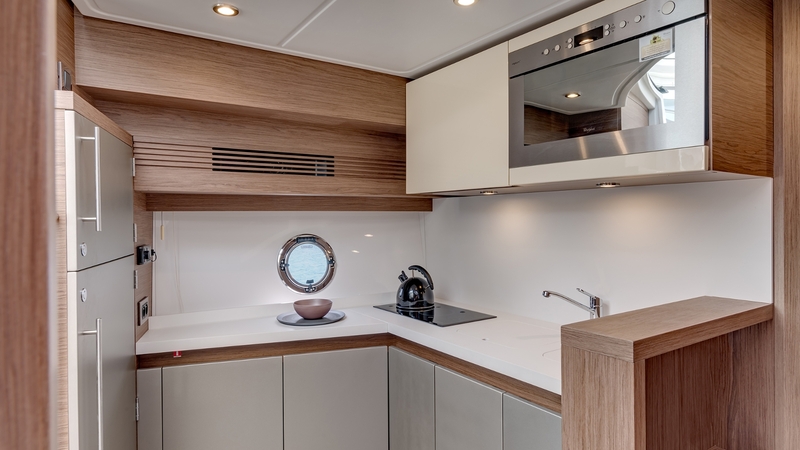 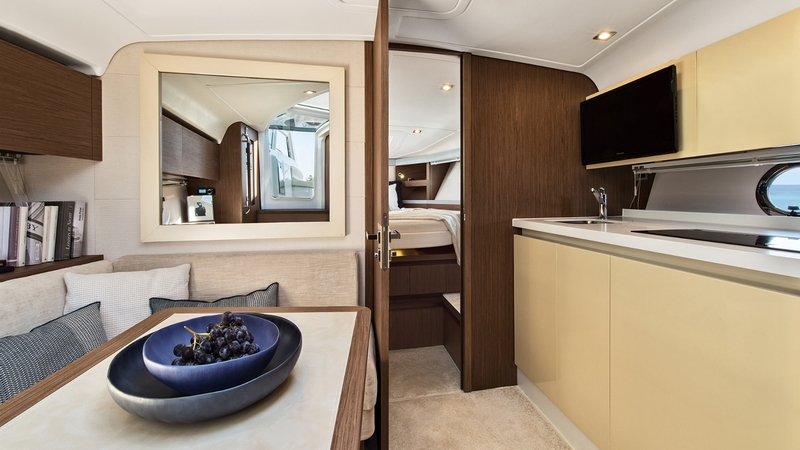 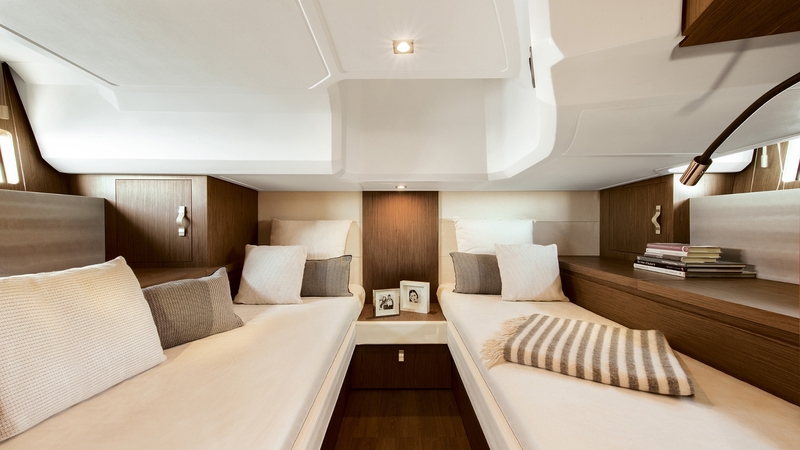 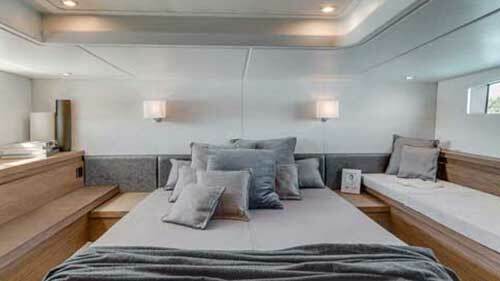 There’s an outdoor galley aft and a huge sunbathing area forward. 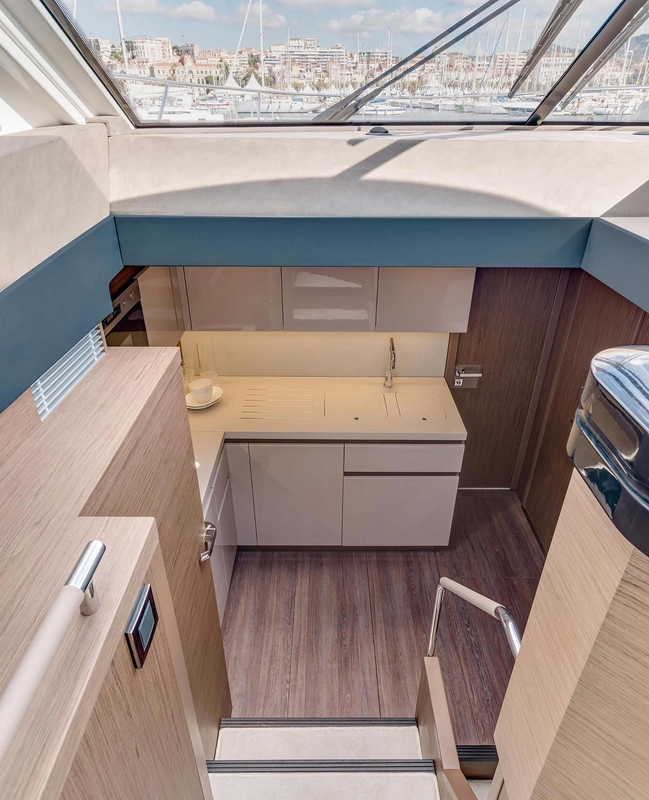 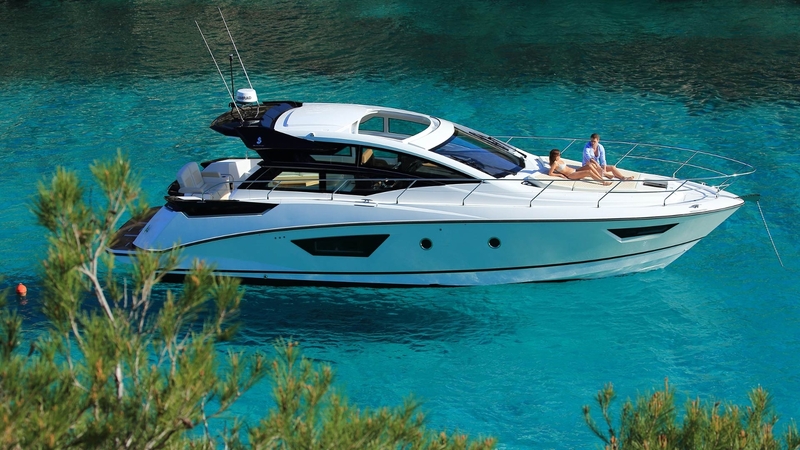 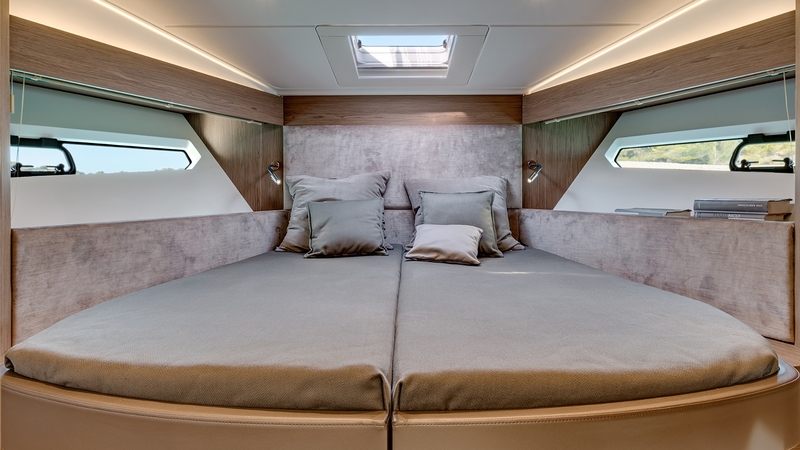 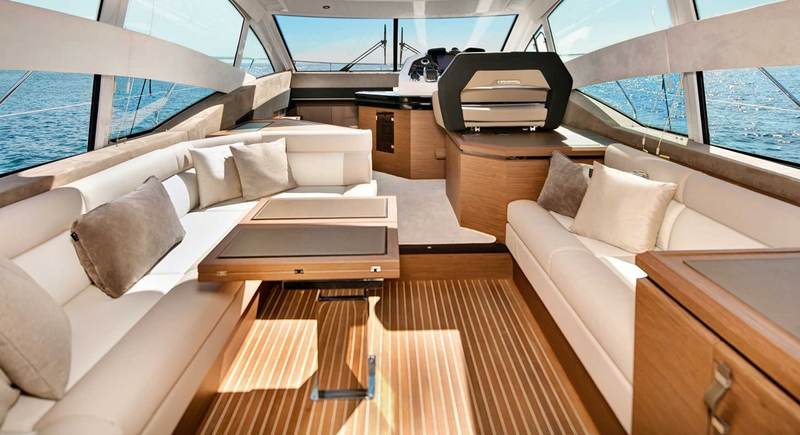 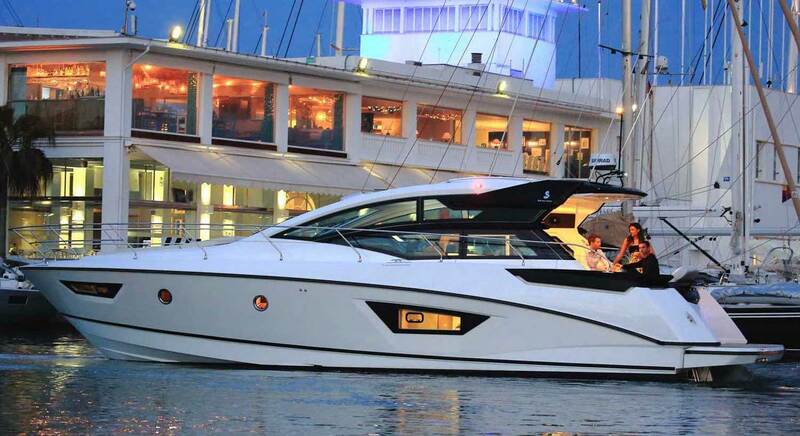 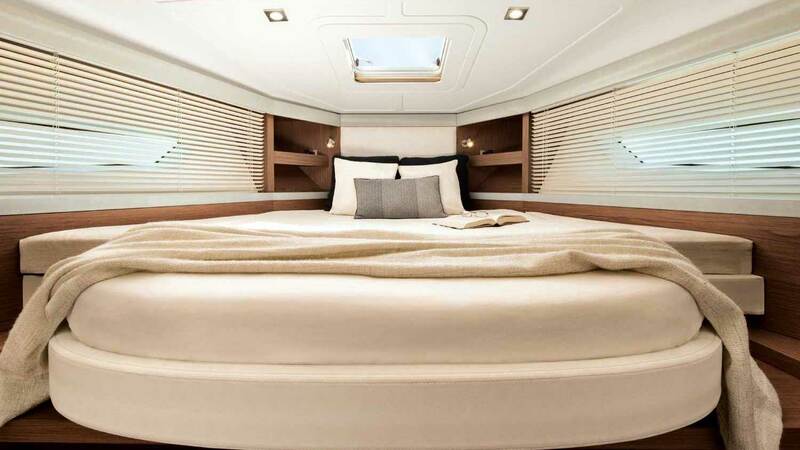 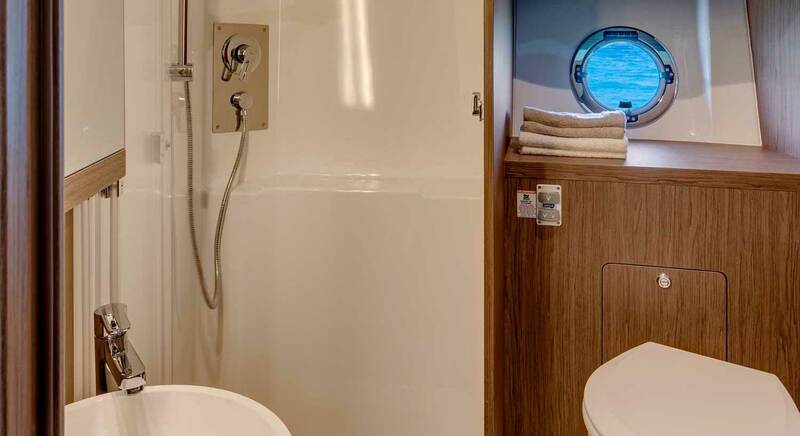 She features two spacious cabins and a head with a separate shower. 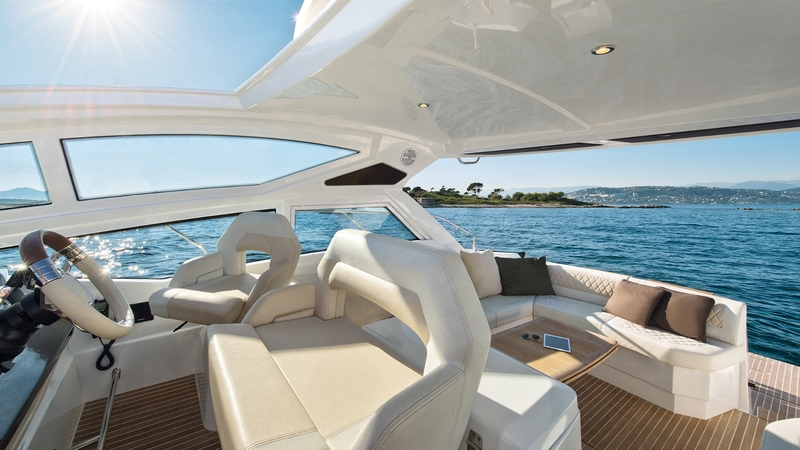 An electric sunroof above her center console welcomes in the outdoors. 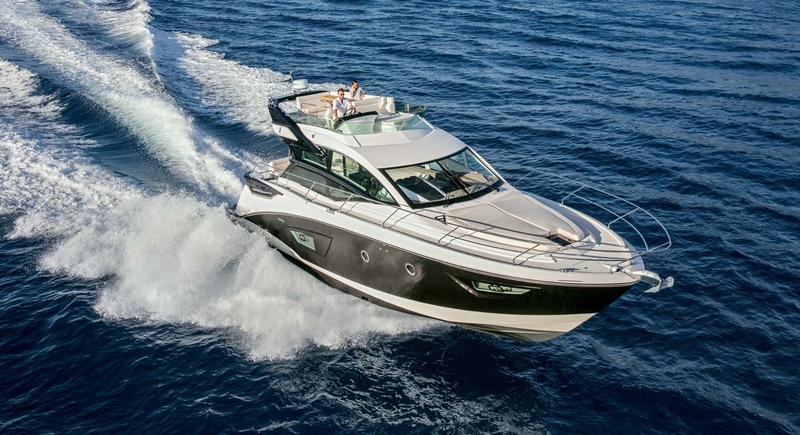 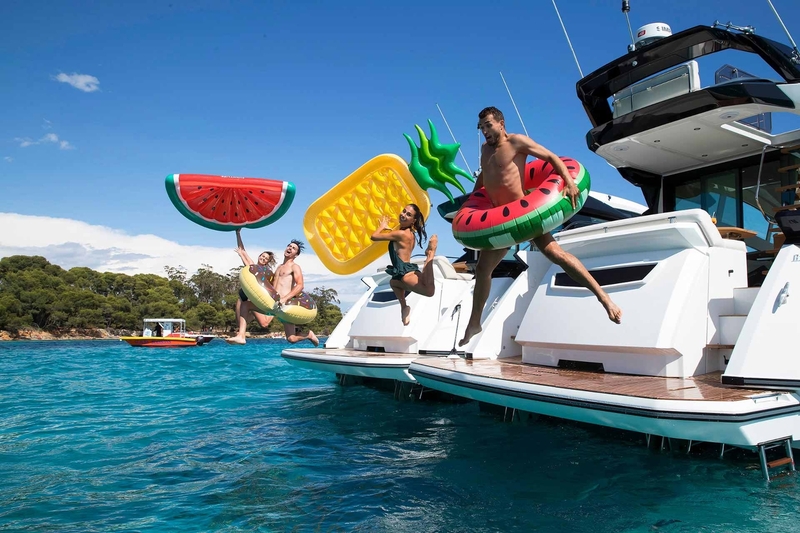 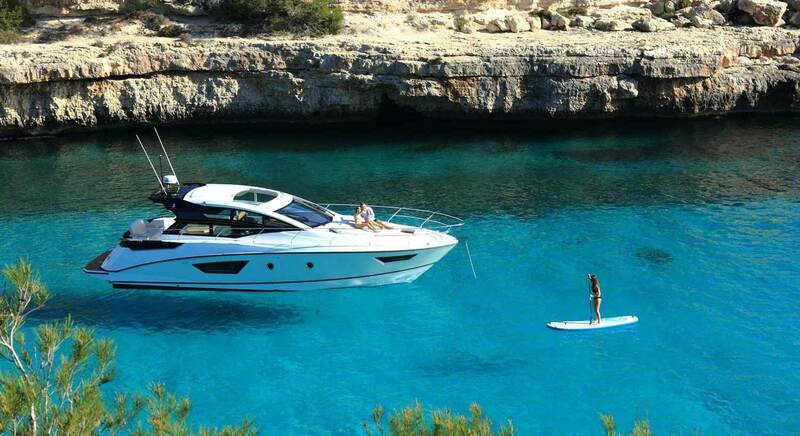 Length overall 12,67 m - 41'7"
Hull length 11,5 m - 37'9"
Hull beam 3,85 m - 12'8"
Air draft 4,15 m - 13'7"
Please mail me a brochure for the Gran Turismo range.